When we get on a food kick in our family it lasts for days and even weeks in a row! 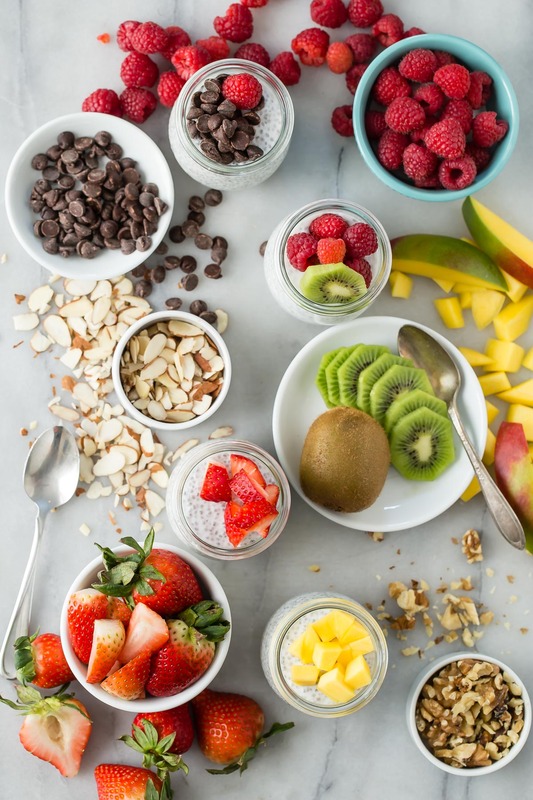 Take for instance Coconut Chia Breakfast Pudding. I made it once for my hubby who’s been trying not to eat refined sugar and gluten after New Year’s and now he and the kids want it in the morning after their smoothies, as an after school snack and even for dessert. It’s one of those naturally creamy treats that’s actually good for you too! When you look at a serving in a jar (or cup or bowl if that’s what you’re using) you assume that it takes a long time or is complicated to make, but the contrary! 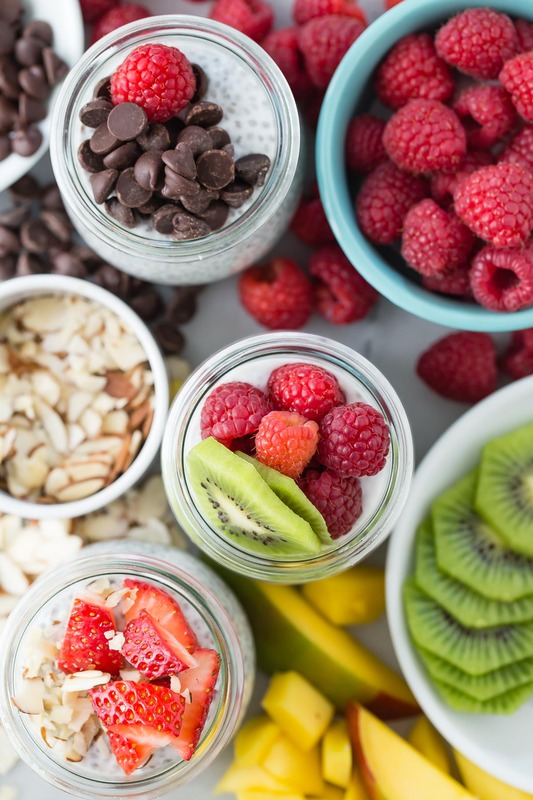 Coconut Chia Breakfast Pudding takes minutes, even seconds if you’ve got your few ingredients ready to go. Just fill them up in the jars, set them in the fridge for a few hours and you’re all set! I’ve seen the kids cruise through a jar in 5 big bites. They literally inhale it which is ok since it’s full of chia seeds which are a superfood packed with omega fatty acids, protein, fiber (we all need more fiber!) and since they’re soaked they’re easier to digest. 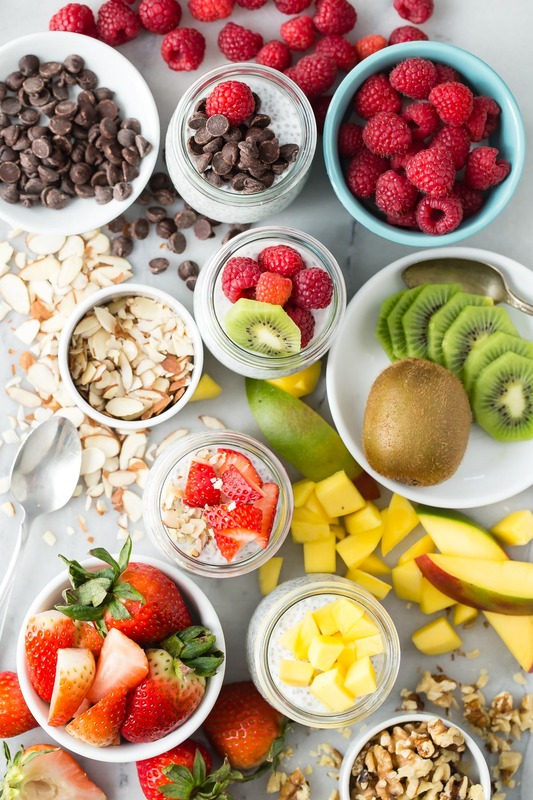 I love making each one unique by topping it with fresh fruits (Kenya loves kiwi on his), nuts, unsweetened flaked coconut (hubby’s choice), chocolate chips (Chloe’s favorite) or serving them au natural (Gemma’s fave). 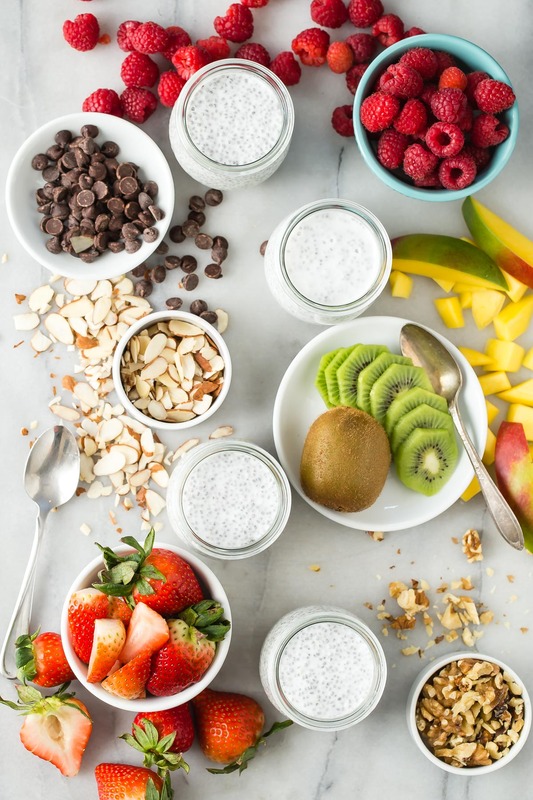 If you need a breakfast on the go that actually tastes more like dessert, is creamy and incredibly satisfying, reach for this Coconut Chia Breakfast Pudding. You’ll be happy you did! 1. Place all of the ingredients in a bowl and whisk to combine. 2. 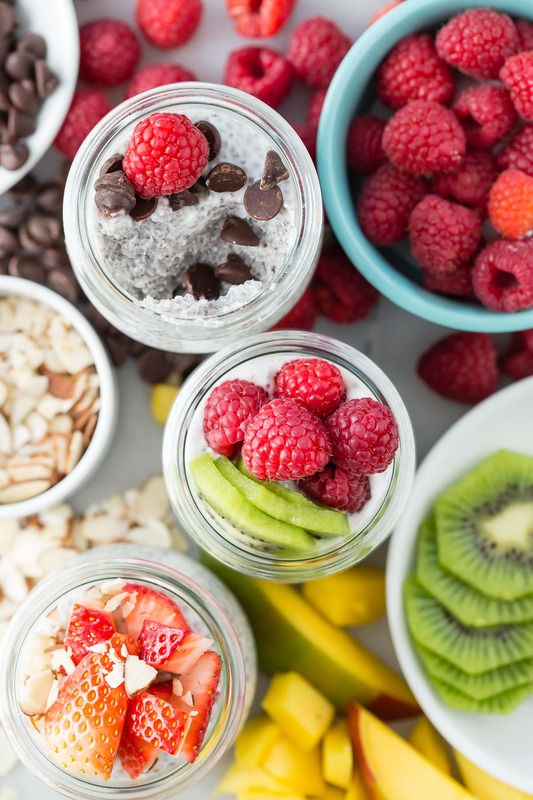 Divide between 4 jars or bowls and add desired toppings. Yes, the kind in the can, not the kind in the beverage section! Could you blend this similarly to your chocolate chia seed pudding? Looks delicious. Just made some but I think my jars were a little big. What size did you use? Thanks. This was sooo easy and ah- mazing! My kids had a bit of a texture issue so I ate one big and my husband ate the other. :) Next time I will blend for their serving. Thanks for another great one! This looks great but we can't eat coconut. Can you use another non dairy substitute? I haven't tested it, but any milk or milk substitute should work! Let me know if you try and how it comes out! You can use those! The pudding will look different, and won't have the thick chewy whole seeds, but will still come out great! After refrigerating overnight the pudding was hard. How do I make a creamy consistency? Same happened to me... curious to know the answer. It tasted great before I refrigerated it... disappointed now. Yay so glad to hear this was a hit! I added 1/4 of a serving to my smoothie and it magically transformed the taste to cake batter. Even my picky daughter approved. The smoothie included vanilla ‘garden of life’ organic protein powder, vanilla kefir, blueberries, spinach and bee pollen. I highly recommend adding this to smoothies!